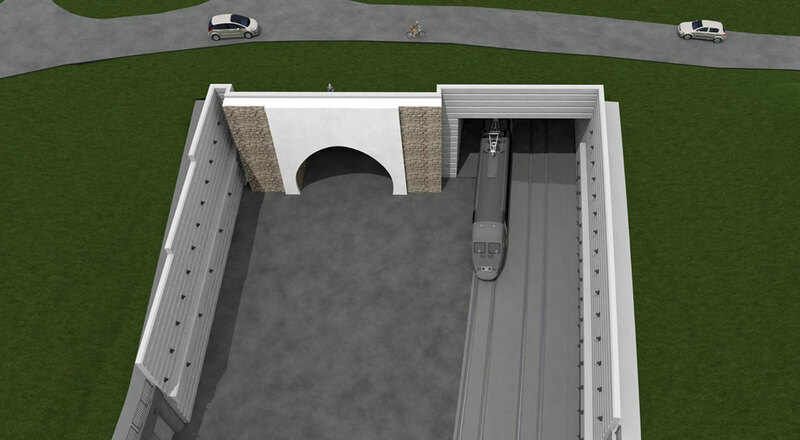 The Pekel tunnel will be part of a new railway connection Maribor – Šentilj and will be built to the north of Maribor. 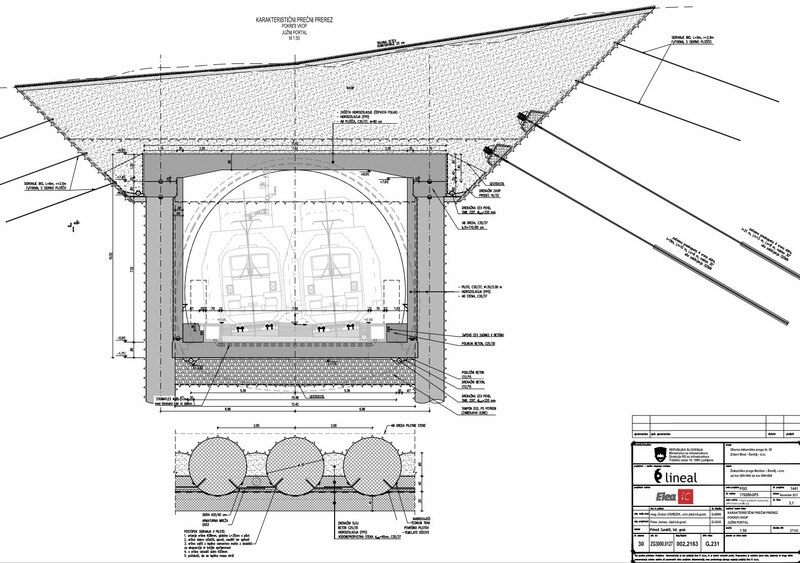 The tunnel system comprises a double-tracked tunnel tube, a drive station, an emergency shaft that will connect the tunnel, approximately in the centre, with the surface, and a water tank for fire extinguishing purposes. The tunnel is 1,522.73 m long. The southern portal of the tunnel is situated to the right closely to the portal of the existing Počehova tunnel. Further north, the tunnel gets more distant from the existing tunnel and approaches the H2 highway from the left and crosses it under a low overburden and at an acute angle. The geological composition of the Pekel hill consists of a superficial layer of siltstone to plastic clay which then passes over to a layer of heavily weathered marlstone. Under the latter, there is a less weathered rock which gradually passes to a fresh, unweathered marlstone. 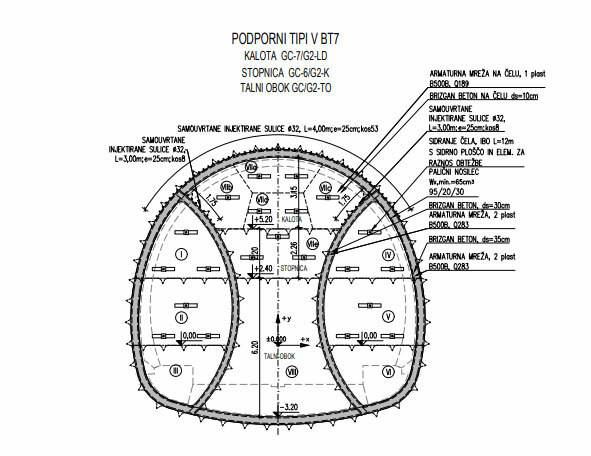 We provided our client with a building permit design, an execution design, a project documentation and tender documentation for the underground excavation of the tunnel, the shaft and for a cut-and-cover tunnels on portals with a drive station. An analysis of the impact on the existing Počehova tunnel and the H2 highway was also carried out.